1. To promote and encourage the participation in and enjoyment of railway modelling in N Scale. 2. To promote social fellowship and exchange of information for and on behalf of its Members through appropriate means. 3. To participate in model railway exhibitions and or similar public displays, as the Collective sees fit. Collective meeting and running day on “Forest Creek”. 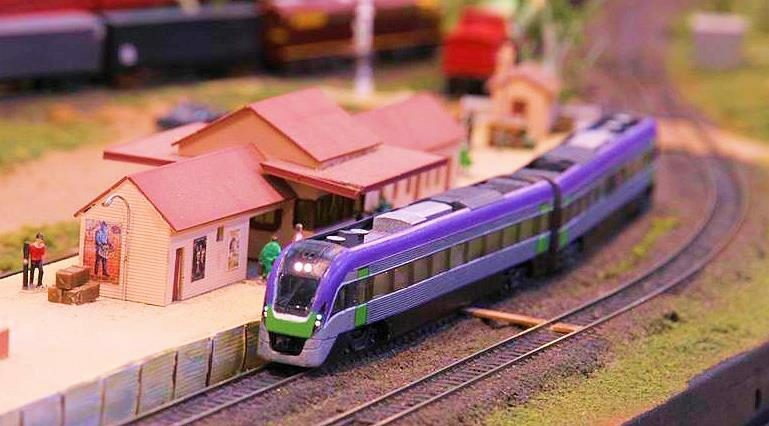 Exhibited AusTrak modules at the Diamond Valley Model Railway Show. Collective meeting and running day on “Wallan”. We meet monthly, with regular layout running days and model railway exhibition appearances. VNSC Yahoo forum also available to Members only - hundreds of posts a month, and growing!